Utah has some great National Parks. I think Arches and Canyonlands are probably the crown jewels but Capital Reef, Bryce and Zion all have much to offer as well. Capital Reef is suppose to be the least visited of the Utah National Parks but we found crowds there, just as we have at every other national park we visited this summer. The Visitor’s center was so crowded you could hardly move so we headed out just as another tour bus pulled up. The Reef was created by what’s called a Waterpocket Fold, which caused a 100-mile large rock upheaval many moons ago. Like most of Southern Utah it has lots of cool rock formations, but it also has the Fremont River that allowed both Indians and early Mormons to settle and farm in the area. We picked apples in one of the half dozen or more orchards in the park. We found great homemade salsa and jam at the Fremont store and enjoyed lunch along the Fremont River under the cover of huge shade trees. We found cool rock formations, canyons and petroglyphs in the park and probably could/ should have spent a couple more days in there. We were however, speed touring, something I don’t recommend but something our schedule necessitated. 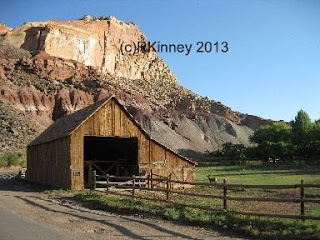 Near Capital Reef is the town of Torrey, where we found an amazing restaurant called Café Diablo. It has been voted a ‘Best of the Torrey’ restaurant and indeed it is fabulous. The town itself is about 2 blocks long and doesn’t even have a real grocery store. Café Diablo is certainly a stand out here but it would be a stand out in any western megacity as well. It was the most creative presentation and best food that I have tasted in a very long time. We ate there both nights we were in the area. 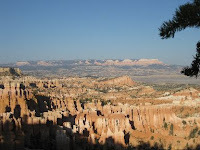 From Capital Reef and Torrey we set out for Bryce National Park via Scenic Byway 12. As you leave Torrey you start to climb into mountains before descending back down to rocks and canyons of the Escalante National Monument. 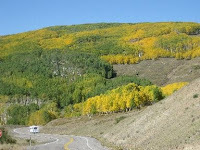 We hit the mountains when the aspen were at peak and it was certainly a very scenic drive. Bryce was nice and was the least crowded of all three parks. We shopped at Ruby’s since it was the largest store of any kind we had seen for a few days. We saw the amphitheater from several viewpoints but didn’t get to do any of the hikes down among the pinnacles. We did walk a little in Red Canyon State Park, which I like just as much as Bryce. Zion was the most crowded of the three parks. The huge rocks mountains are quite nice but difficult to see when you can’t find a parking spot. The shuttles do help if you can find a parking spot by a shuttle spot. Part of the park can only be seen by shuttle. My sister and I did the Riverside hike. The hanging gardens there were very nice but the trail was crowded. We had read that the Emerald Pools were a ‘must see’ in the park so we headed there next. We were very disappointed with the pools. Someone said that they are best in the spring and we were there in September, maybe that was the problem or maybe it was our expectations. I was expecting emerald pools like in Yellowstone and my sister expected pools like in Hawaii. We made our own fun on the hike but definitely wouldn’t recommend what we called ‘the puddles’ to anyone. Next time I visit Zion I will try and go in the spring and try some of the longer hikes. I really want to do the Angel’s Landing hike one of these days, but that will have to wait. Our time in the Utah was up! Vegas awaited.. 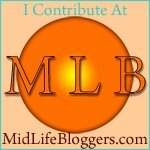 Okay, Robin, now that Diana has a link to your blog in her most recent post, it's time to start writing again! : ) Love the pics of Utah. What's up these days?